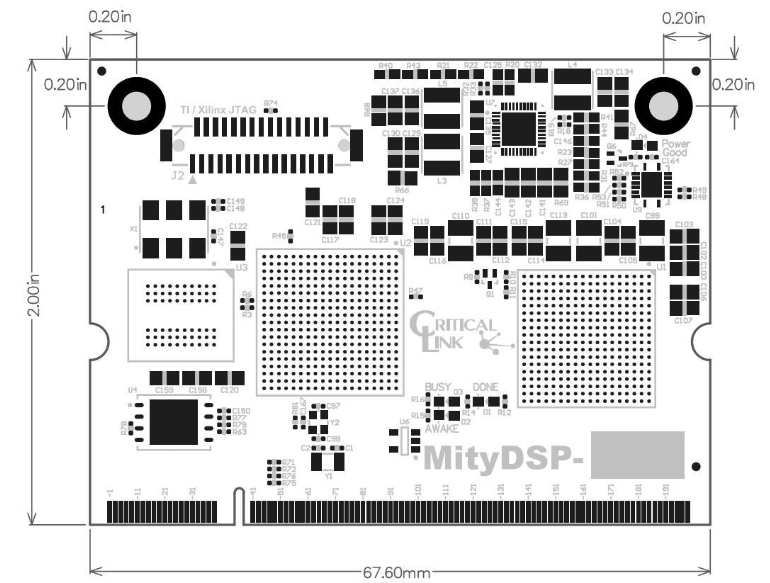 The MityDSP-L138F System on Module (SOM) is the highest performance module in the OMAP-L138 family of MityDSPs. An overview of the module family is available here. 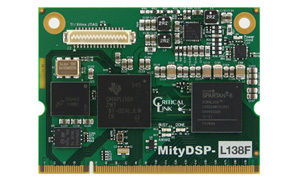 The MityDSP-L138F ARM9 system supports QNX, embedded Linux, Windows CE 6 and ThreadX operating systems. 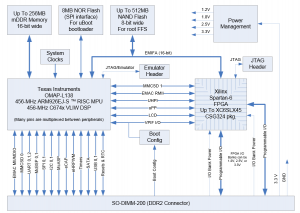 It features the dual-core OMAP-L138 CPU from Texas Instruments which provides both an ARM9 applications processor and a C674x Fixed / Floating Point DSP. 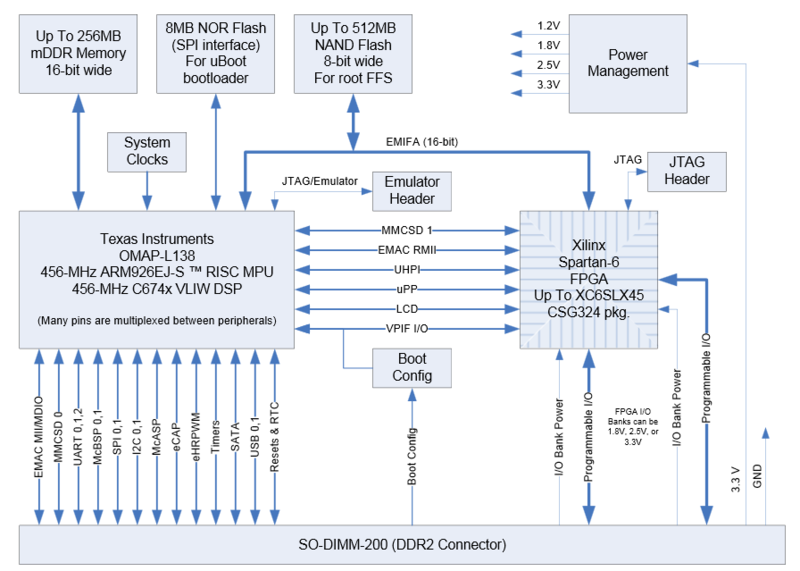 When combined on the MityDSP with the optional on-board Xilinx Spartan-6 FPGA, system designers have available two 456MHz CPUs along with the capability to add fixed function co-processing or I/O co-processing in the FPGA. The MityDSP-L138F also conveniently offers applications such as industrial embedded instrumentation. Critical Link has partnered with Timesys to provide their LinuxLink toolset which enables quick and easy design, development, deployment and debugging of an embedded product based on open source Linux. 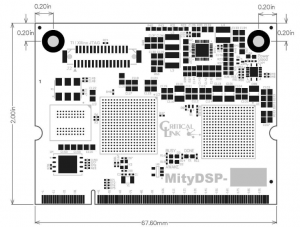 Please visit the MityDSP-L138F LinuxLink Development Center to get started.